The Tacx Brakeshoe Tuner is a little tool that helps every cyclist in the process of adjusting the brake-pads and brake-shoes. Having these properly aligned with the rim results in the best possible brake force and optimal wear of your brake pads. This article will look at the design of the Tacx Brakeshoe Tuner and will briefly show how to use it in a structured and time-efficient way. I’m using a pair of Mavic Ksyrium SLR wheels with Exalith coating. As these wheels are known to be noisy for the first couple of hundred kilometers (the grooves on the rim need to wear a little), it is important to have the brake-pads properly installed (with the correct distance and angle compared to the rim surface). Check the Velonews review of the Mavic Ksyrium SLR wheels who confirm the proper alignment of brake pads and squeeze noises in the first months of use. At this point I decided to purchase the Tacx Brakeshoe Tuner, a v-shaped plastic tool with a bolt straight through it. 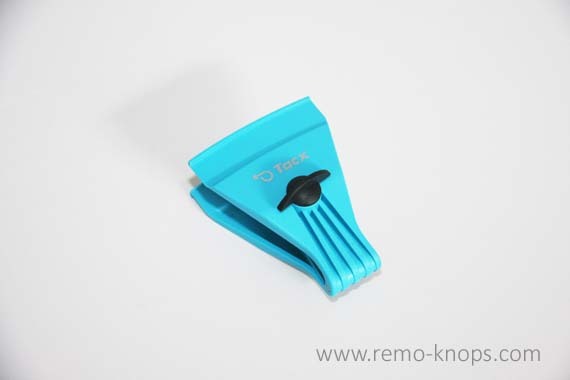 The clever design of the Tacx Brakeshoe Tuner, with it ridges easily centers it on the correct spot between rim and tire, so you can hand-tighten the adjustment bolt. With the flat surface of the Tacx Brakeshoe Tuner against the rim braking surface you are in the perfect position to tune the position of the brake pads. In addition you want to read the Eleven Velo article: “Brake Pad Toe-In” that gives a different perspective on the proper alignment of the brake pads. Brake pad toe-in will avoid the squeal sounds while braking and increasing your overall brake power. 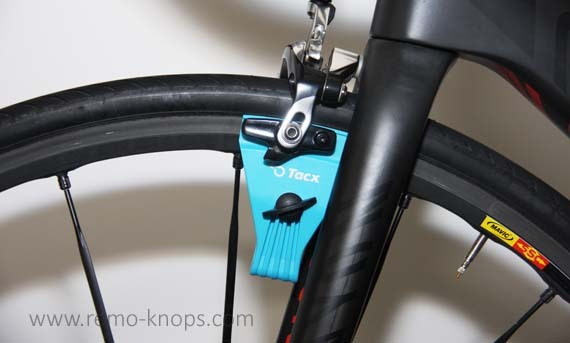 The clever design of the Tacx Brakeshoe Tuner will facilitate an effective brake pad toe in. The thickness of the Tacx Brakeshoe Tuner that will be placed against the rim braking surface differs in thickness. Effectively 2.5 mm thick in the back and 1.0 mm thick in the front, which will result in a ꓥ-shaped placement of your brake pads (from the top view). Place the Tacx Brakeshoe Tuner over the rim and make sure that the plastic ridges are placed between rim and tire. The brake pads have the right distance to the rim surface as well as the right toe-in angle. In other words the optimum position for the best brake performance. The Tacx Brakeshoe Tuner is one of those small tools that grows on you as you use it, because it simplifies the alignment and adjustment process of your brakes. You will get the Tacx Brakeshoe Tuner T4580 for a price-point of around EUR 13,00. I have used the Tacx Brakeshoe Tuner for a couple of years now, and I see no signs of wear. The tool is not intensively used, but it’s a comforting feeling that you always have your brake pads in the most optimum position. And due to the adjustment bolt, you always can use two hands to make the proper adjustments. Trust and good braking performance are major contributors for your cycling safety. And it will only cost you a small investment that will save you adjustment time. 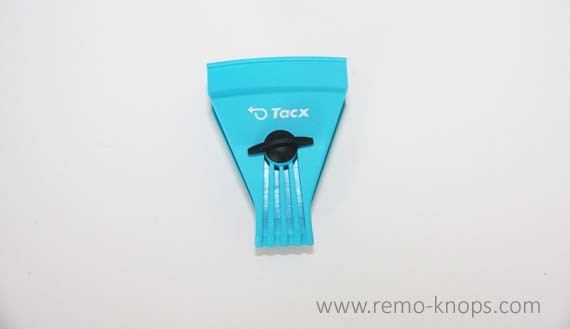 Hey!, I found this information for you: "Tacx BrakeShoe Tuner T4580 review". 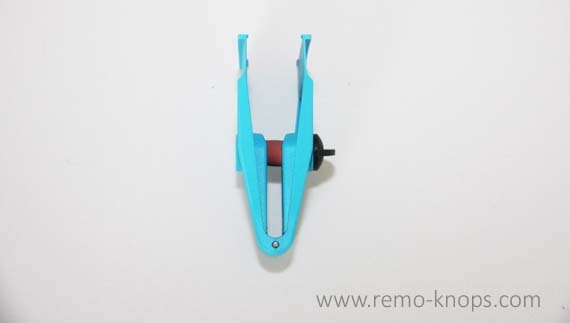 Here is the website link: https://www.remo-knops.com/5647/tacx-brakeshoe-tuner-t4580-review/. Thank you.